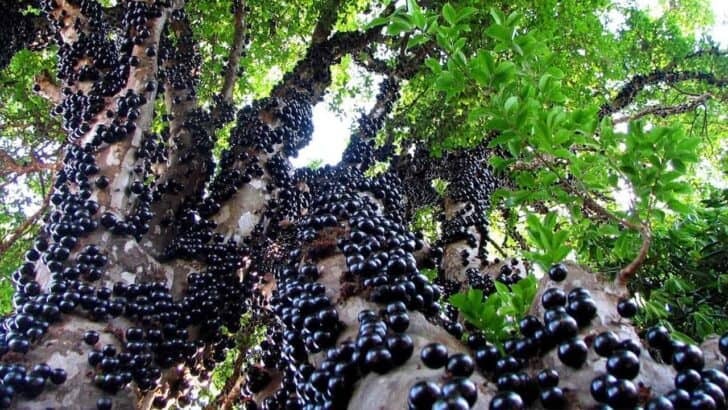 No, you're not dreaming, these fruits look as if they may have been pinned there by an over enthusiastic gardener to impress the neighbors but the fruit of the Jabuticaba really does grow off the trunk of the tree.The fruit is edible from the tree and can be used in jellies too. 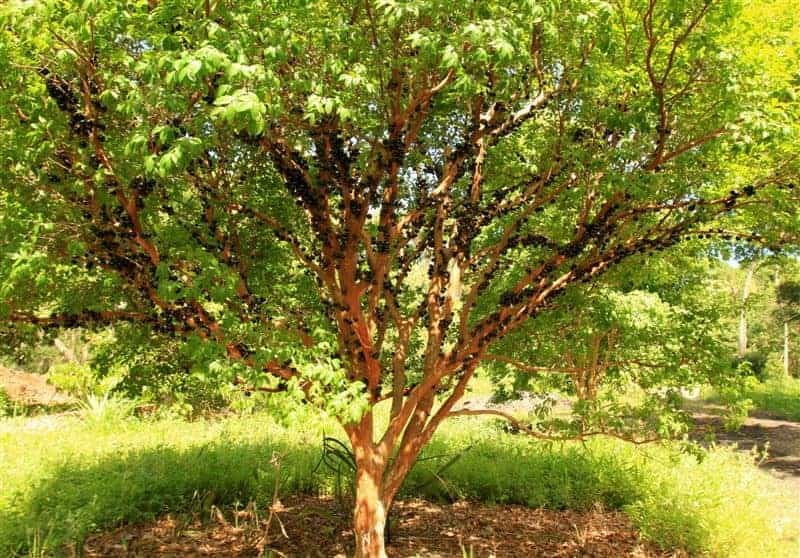 The Jabuticaba beautiful tree is little known outside of its native region of Brazil. 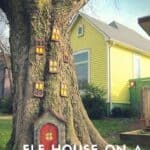 They are members of the myrtle family. 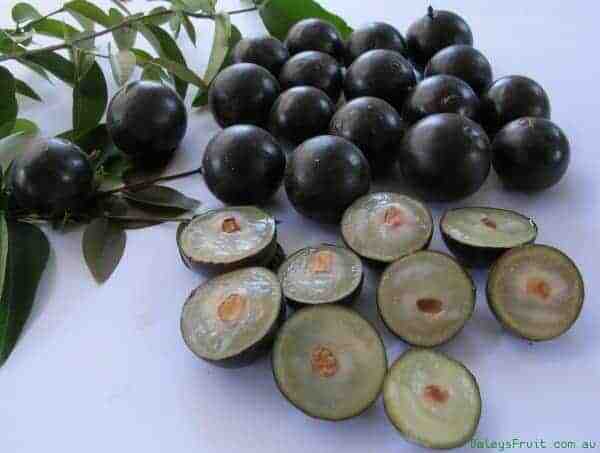 Jaboticaba’s name is derived from the Tupi term “jabotim,” which means “like turtle fat” in reference to its fruit pulp. In Brazil, the tree thrives from sea level to about 3,000 feet in altitude. 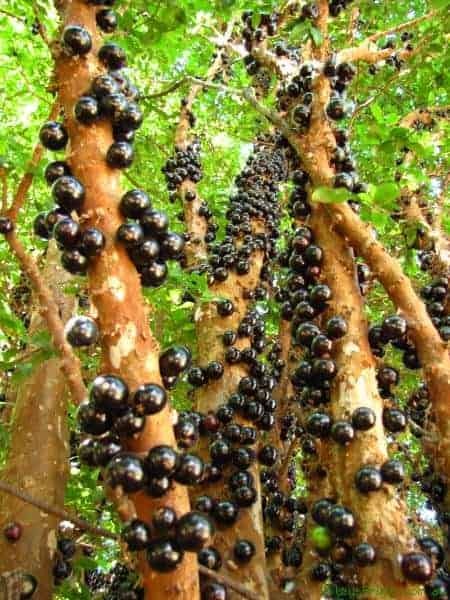 Additional jaboticaba tree info tells us that the specimen is a slow growing tree or shrub that reaches heights of between 10-45 feet. They are frost intolerant and sensitive to salinity.